Just as e-commerce has largely removed the need for trips to a physical store, our next innovation may soon be enacting that same revolution on online stores. 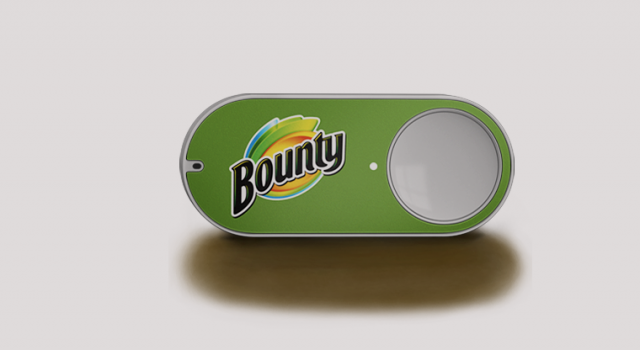 The Amazon Dash Button now enables shoppers to make repeated purchases without even going online. Users simply place the branded button somewhere in their home, connect it to their Amazon Prime account, and press it when they begin to run out of the associated product. Their order will then be fulfilled by the online shopping giant with free delivery. 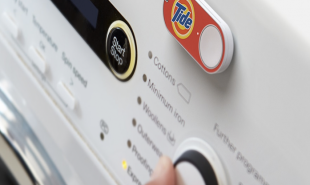 The Amazon Dash Button was launched earlier this month and can currently facilitate orders of more than 250 household products including Huggies nappies, Bounty kitchen roll and Olay skincare. The device is designed to simplify the process of re-ordering products that consumers purchase and run out of regularly. Each Dash Button is designed with the brand’s logo and connects to user’s smartphone via Bluetooth. Customers can review or cancel their orders via the Amazon app. Many Amazon Prime users have been offered a free button via an email lottery and anyone interested in trying out the service can sign up for an account and add their name to a waiting list. The system has obvious brand loyalty benefits for participating companies, but perhaps a more consumer-friendly version of the device would enable customers to automatically re-order products at the best price, regardless of the brand?